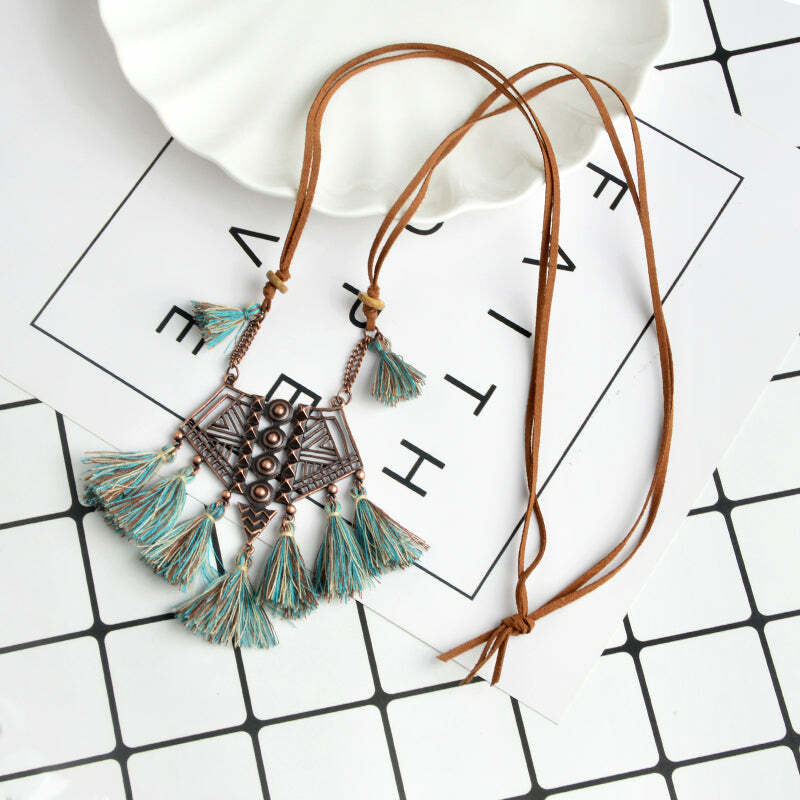 Have your pick of dusty rose, deep sea blue, shoreline teal, or sandy beige with this bold, boho statement piece. 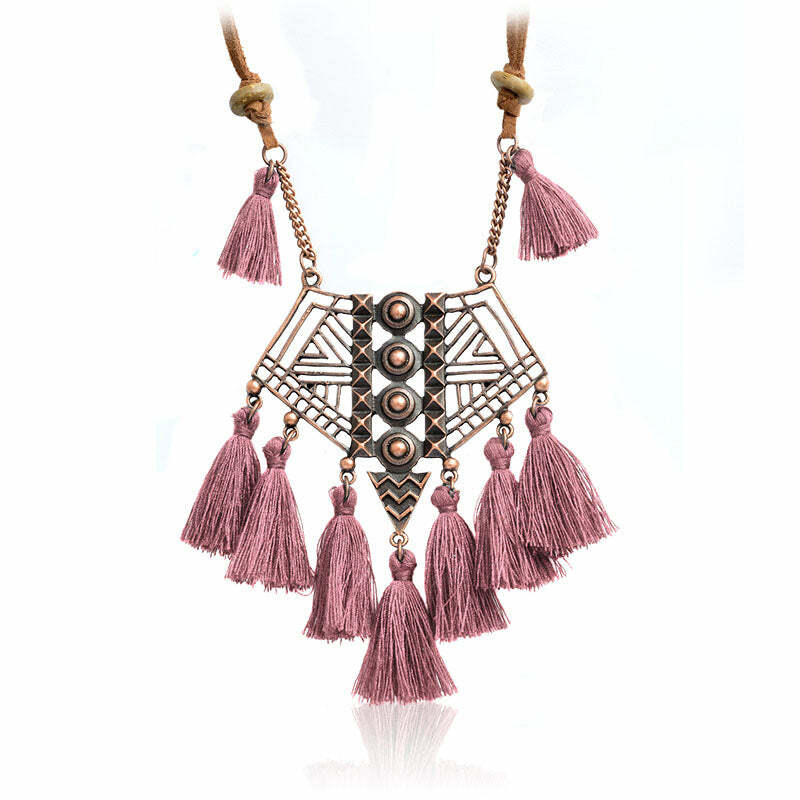 The hollowed-out geometrical elements provide eye-catching detail in this ethnic necklace design. Reminiscent of Ancient Egypt, pair this with a variety of boho pieces to finish off any outfit. Who said history was boring? You'll feel like a walking royal as you showcase your style. 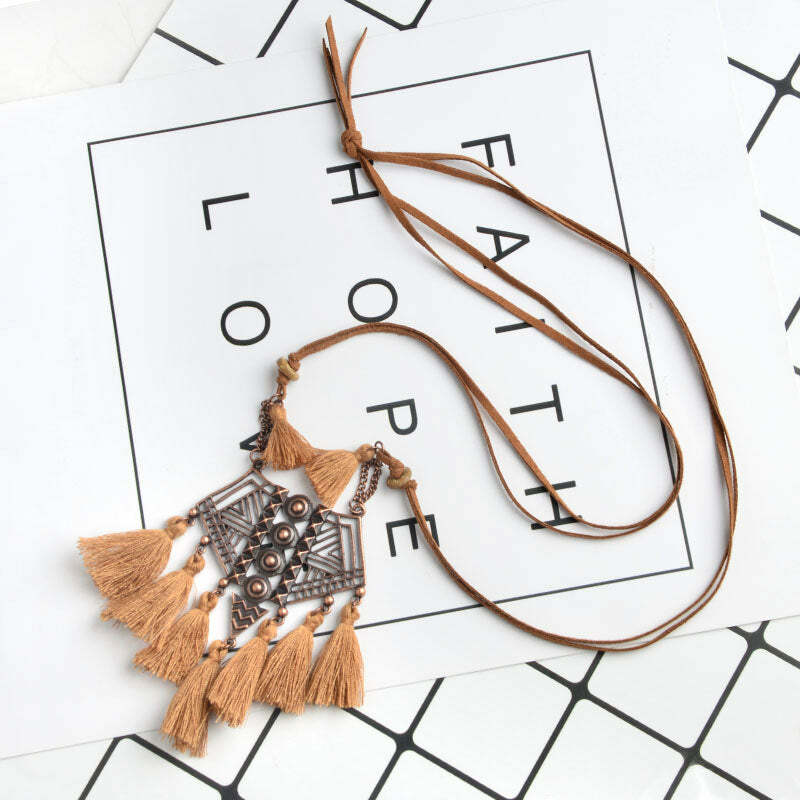 Don't forget your lace-up gladiator sandals and geometric print dress to complete the look.